If you have any doubts/suggestions/comments about us, our products or our site, please do not hestitate to contact us! 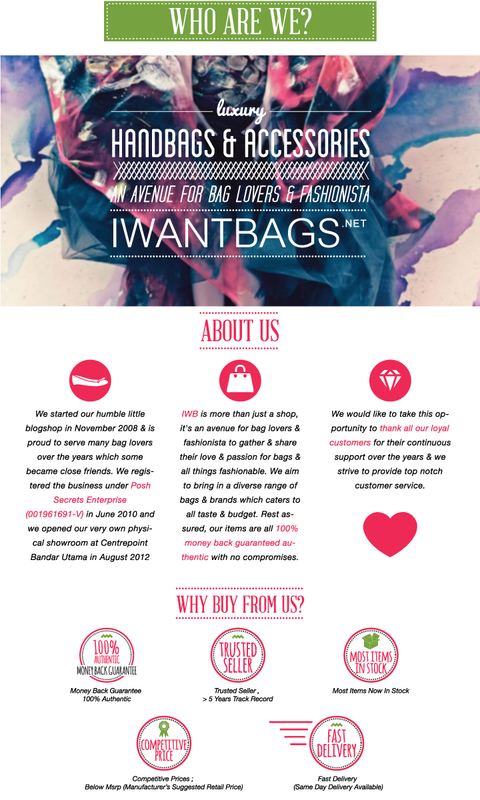 We can be contacted through email at >> iwantbags.orders@gmail.com or call us at <<03-7733 0636>>. We'll get back to you within 24 hours​.